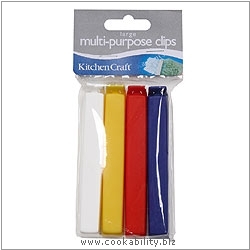 Multi-purpose clips for a sure seal every time. Ideal for use in the the fridge, freezer and microwave. Bag contains four clips. Colours may vary.